therein taking care of the whole problem for you and reducing any impact upon your workload and time. Storm and flood damage repairs, in addition to temporary roof repairs, have been areas of our expertise for many years and we have a team of experts available 24/7. Integrity Facilities Management offers you a no-obligation roof survey to ascertain your concerns and identify both the problem and its solution. Our initial inspection is conducted by a fully qualified building surveyor, who is highly experienced in all types of commercial roofing repairs. We establish the exact nature of repair required and provide full written quotations (which may be used as an insurance quotation, should this be required). We can assure confidence in the information, advice, knowledge and skills we provide and in the product quality we provide. Occasionally, situations arise wherein a roof is proving costly to maintain in the long-term, with repeated roof repairs having been completed; in these instances, it may be prudent and more cost-effective to respond by replacing this with a new roof. Integrity Facilities Management provides a full range of options designed to match you and your business’ individual requirements; a new roof is not always as expensive as maybe anticipated. Our commercial roofing team are experienced in all roofing constructions and materials. If you have damaged slates or tiles that need replacing or perhaps you are in need of a complete new roof covering, we will ensure that your premises retain its functionality and character, whilst simultaneously ensuring it is completely protected from the elements. Integrity Facilities Management realise that having to address industrial and commercial roofing issues can on occasion make you feel cautious or overwhelmed and, in response to this, we ensure a hassle-free approach to providing free written quotations for your roofing, guttering, fascia’s, soffits and roof-lights. Unlike most commercial roofing contractors, we do not employ sales rep’s nor promote any specific products or manufacturer; this is not part of our company’s ethos. Instead, we provide you with friendly, honest, clear and professional inspection and prices. Our pricing promise is simple; we will provide you with the best price and workmanship for any works proposed using quality materials. Integrity Facilities Management has extensive knowledge regarding all aspects of industrial and commercial roofing and our experience informs us that early identification and response to roofing repairs prevents or reduces more costly interventions in the long-term. We are able to provide remedial repairs to areas of your roof; thereby extending roof longevity. 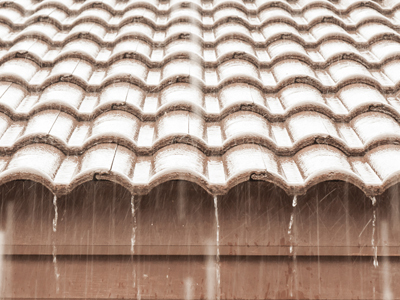 The main purpose of roof guttering is to protect a building’s foundation by channelling water away from its base. Integrity Facilities Management can advise you on improving, updating or even simply maintaining your guttering, to create the most effective rainwater systems, thereby minimising ingress water damage or erosion. We provide efficient, high-capacity, guttering and downpipes in a full range of materials and suitable for all types and sizes of business and commercial properties, with styles ranging from classic to decorative. Integrity Facilities Management possesses extensive experience in flat roof provision, offering assistance regarding any aspect of your flat roof structures; including design, materials and installation. We are able to advise you regarding appropriate flat roofing choices including insulation, local climate and durability all conforming to established regulations. GRP: Glass Reinforced Plastic is a well tried and tested flat roof system. 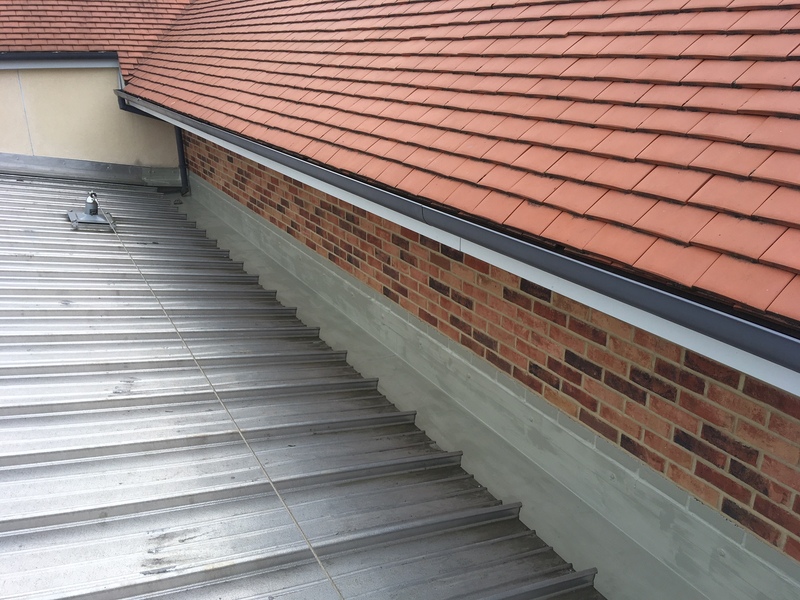 As a flat roof specialist, Integrity Facilities Management are experienced fibreglass roof installers and can offer a roofing system that will even out-last the structure it is protecting. Compared to traditional roofing systems, GRP has a number of benefits for flat roofs that your business may wish to take advantage of. These include health & safety benefits; when installing a GRP roofing system the material can be cold-laid and, therefore, not require the use of any form of heat treatment. This helps to protect our customers, their properties and installers. GRP flat roofs may be finished in a range of options (such as non-slip) and are completely waterproof as they are laid as a single continuous membrane and highly adaptable. Therefore ideally suited to a wide range of purposes. Fascias and soffits not only provide extra protection for your building, they also add the finishing touch that makes your building look complete and may even add value. We offer a wide range of solutions for this service. The renewal of cladding and corrugated roofing creates an opportunity to upgrade the insulation of your building and form a new weather-tight roof or walls. Whether you require a whole roof repair or over-cladding an existing roof and walls, our team can provide you with a cost-effective solution. For more information on Roofing contact us today! Professional roofing services from commercial roofing contractors with an enviable pedigree in roof repair and refurbishment.